Giles Tremlett is Madrid correspondent for the Guardian newspaper, and his authoritative voice brings to life the secret history of Spain’s Civil War. 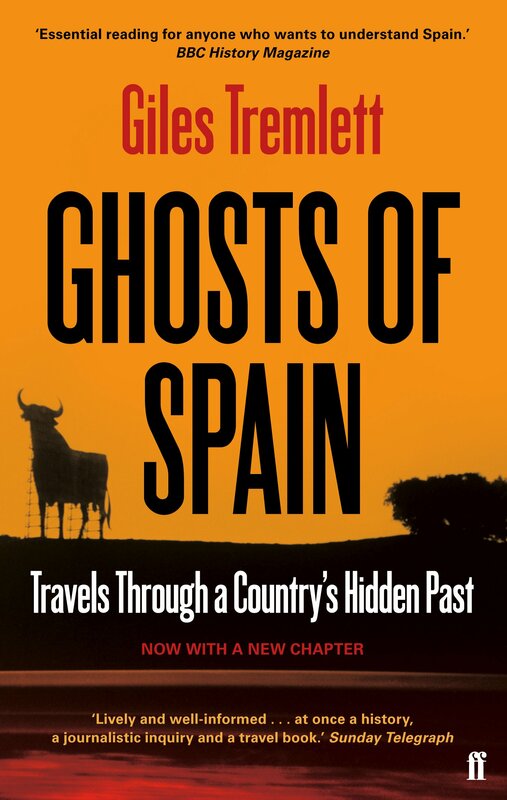 Ghosts of Spain was the first book I read about the pacto de olvido, the pact of forgetting. Tremlett puts this pact into context by explaining how Spanish history is riddled with division: religious, political and geographical. Why do the football supporters of Real Madrid and Barcelona hate each other quite so much? Why, it is rumoured, there are no signs to Barcelona from the Madrid ring road [I think this is more of a legend these days]. This entry was posted in Books about Spain and tagged Andalucia, books, Ghosts of Spain, Giles Tremlett, Sandra Danby, Spain, Spanish Civil War, spanish finca on September 5, 2013 by sandradan1. I read this book just after I arrived in Spain 7 years ago, and it answered a lot of my questions about the region too. For example, why does no one ever speak about the civil war? Tremlett is also the Spain correspondent for the Guardian newspaper in the UK and he is a good source of information about what’s going on down here. Agreed. Do you know if he’s written any other books about Spain? As far as I know, he hasn’t, but this book was such a huge effort that he probably doesn’t have anything left in the tank!